I know we only announced it yesterday but we already have a nice update. Funding for research projects can come from many different sources and be carried out with many different partners. Each with their own branding requirements. So today we rolled out the ability to customise the style of individual projects. 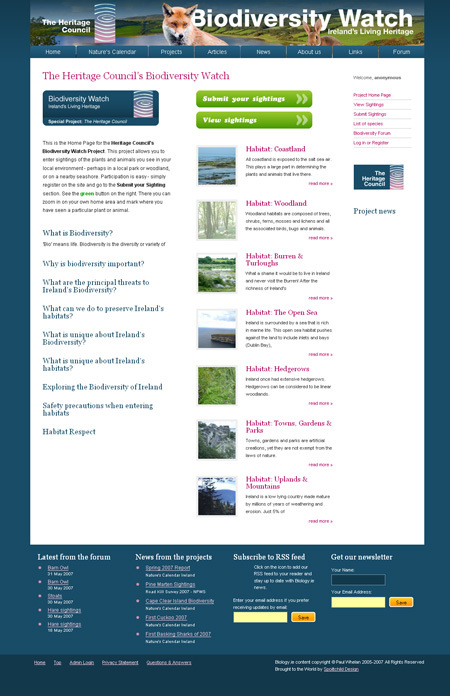 Have a look at the Heritage Council project on Biology.ie and see the results.